There’s no denying the fact that the spirit of competition has increased amongst today’s generation, especially the younger lot. Therefore, it has become imperative for today’s parents to focus on expanding the self-confidence in their children. Even a small cutback in their confidence can affect the personality and talents of the child adversely. Formerly, confidence, in its literal sense, refers to having full trust and belief in one’s powers or abilities. And this trust needs to be nourished thoroughly, to ensure a flourishing future. 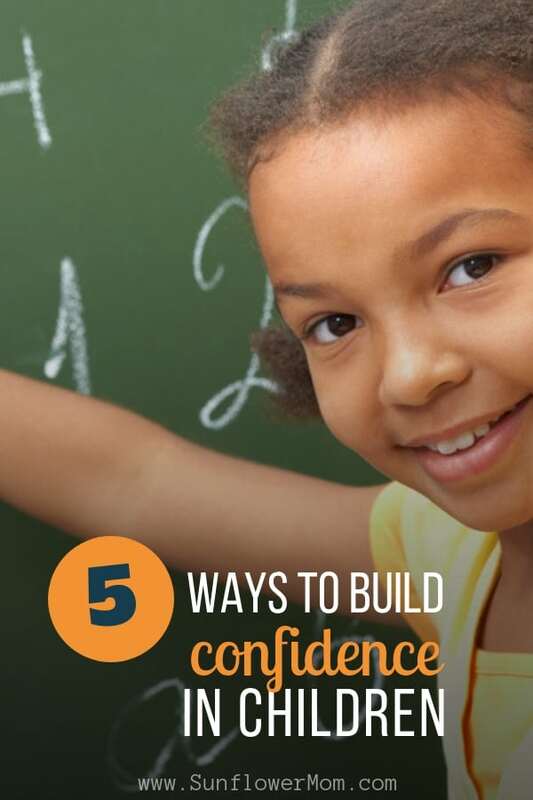 Five of the critical points that need to be followed to build up self-trust and confidence in children are explained below. It might seem too obvious to be listed as a ‘to-do’ but it is often taken for granted and that is where the need comes, to be extra cautious. Kids vitally need to know that they are loved and accepted, irrespective of their faults or limitations. Thus, whatever the situation is, make sure you never compare your child or his shortcomings with anyone. Instead, take note that you validate their feelings. They ought to know that it’s perfectly reasonable to feel scared or nervous. Throw the spotlight on showering them with hugs, sharing clever jokes such as periodic table jokes, and on making warm, playful and affectionate interactions with them. Remember, when endowed adequately, love can work wonders in laying a solid foundation for confidence in kids. Kids imitate their parents’ actions and behaviors and tend to learn whatever reflections are given to them. For example, if you get angry at something, they contemplate that particular object or situation as a trigger for them to be angry too. But if you handle an issue with patience and calmness, they get conditioned to act the same way. So, if you can model confidence in your behavior, it is more likely that your children do the same as well. Thus, being their first teachers, introduce them to the various positive notions like that of compassion, self-trust, courage, etc. through posing as an example yourself. Think about the last time someone praised your efforts and told you they believed in you. Think about how it brightened your day. Likewise, the secret to nurturing a happy and confident child lies in endless encouragement, while also believing in their dreams. And while it is essential to provide them with positive feedback, it’s also important to be realistic in your praise. Reassure your child that it is OK not to be able to perform all the time flawlessly. Reward them with gifts once in a while for their efforts. But most importantly, try being cautious about not putting an undesired pressure on them to always perform a certain way. When your child needs to talk, put away everything else to listen to them. It helps them know that their opinion and feelings matter. Make your time together count, even if it is limited. What is of core importance is to make sure your child feels valued when he’s with you. Give him a chance to lead often in between your play sessions, giving him specific responsibilities. This will set his confidence building, in motion. As a parent, it becomes more of a responsibility to impress in your child, the ability to be self-reliant. No matter how desperate you might feel to remove any obstacle that comes your child’s way, you must learn to let go. Set them free. Allow them to make age-appropriate choices. Let them take healthy risks and solve their problems on their own. Once they succeed in doing that, the sense of achievement will fill them up with immense confidence and the power to handle unknown circumstances. Like a seedling, a child needs a fusion of various elements that contribute together to create a personality that is exquisitely able. As a parent, you must use your influence in the right way, especially during the first few years of their lives. With the right dose of each aspect, you can help them grow up to be feeling good about themselves, along with the world around them. Ross is a blogger who loves to write especially in the parenting vertical. He has written many informative Blogs. He has also written blogs in other verticals too like personal development, unique gifting blogs.